2013. By Pegy Shinn. 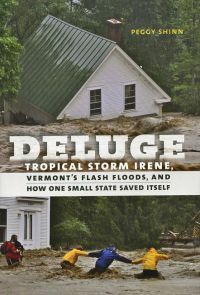 A riveting and well-reported new accoount of the 2011's Tropical Storm Irene and the devastation it wrought on Vermont, and how residents of this rural New England state rose to the occasion and coped with this unparalled natural disaster. A gripping, unforgettable story. Hardcover. 216 pp.